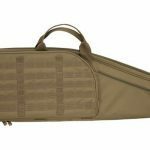 Flying Circle Bags hits the mark with its new line of firearm cases designed for the gamut of gun enthusiasts, from recreational sportsmen to professional marksmen. 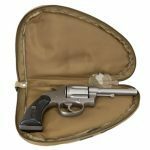 Flying Circle Bags introduces its new line of firearm and concealed carry cases designed for the gamut of gun enthusiasts, from recreational sportsmen to professional marksmen. 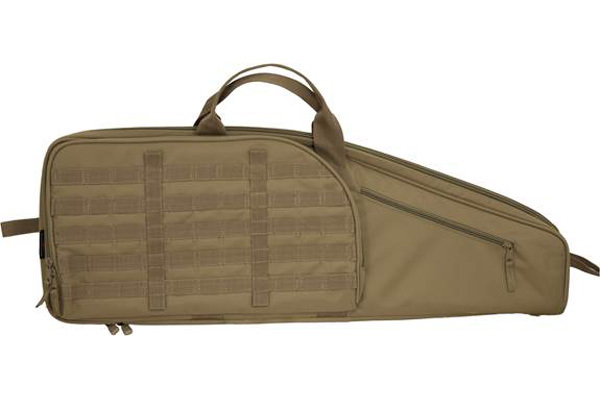 The Scoped Carbine Case: Accommodates most scoped carbines up to 34” in length and can store a variety of magazines in its pockets while providing ample storage space for accessories like optics, cleaning and first aid kits, binoculars, bipods, hearing protection, and safety glasses. A large webbing loop on both ends allows for hanging storage muzzle up or muzzle down. 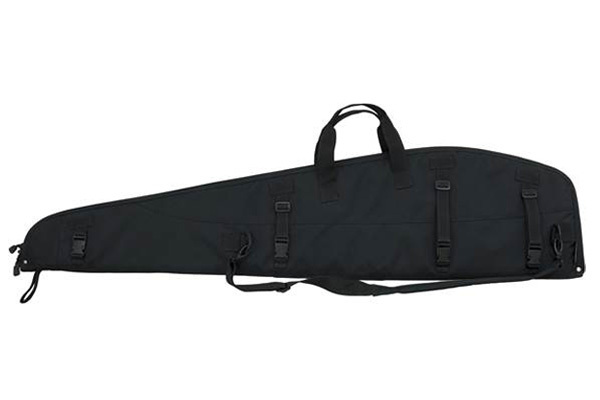 The Scoped Rifle Case: Fits most scoped rifles up to 47” in length and can hold a good chunk of gear as well. 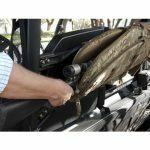 Features locking zippers on weapon compartment (locks not included), and tactile zipper pulls – different pulls on weapon & accessory pocket allow easy identification by feel. 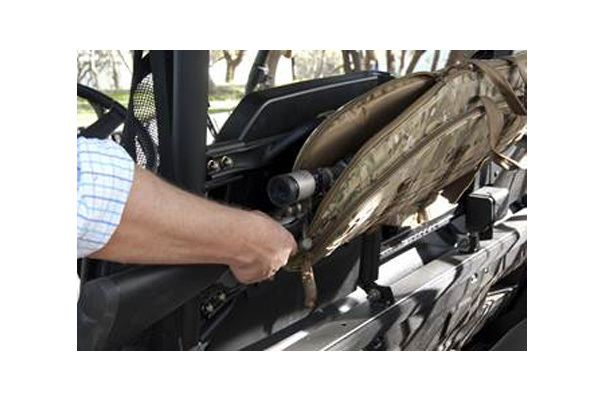 The carbine and rifle cases boast another exclusive feature – a four-point Vehicle Attachment System (VAS) with adjustable webbing straps and side release buckles to safely secure the cases to a SUV cargo rack or ATV roll cage for easy access when traveling. 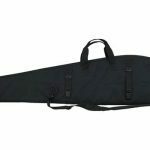 Both cases also have an adjustable and detachable sling style shoulder strap and grab handles on both ends. 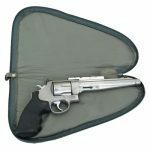 The Tactical Pistol Rug: Most compact/sub-compact pistols and full sized revolvers are covered with the Small and Large Pistol Rugs. 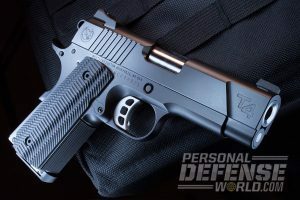 The small rug accommodates handguns up to 8.5″ in length, and the large rug can fit guns up to 12.75″ in length. 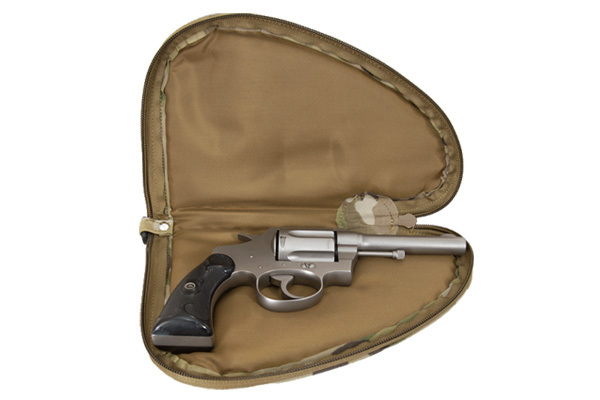 Each has a side zippered pocket that will hold a couple extra magazines, ammo, or mobile phone. 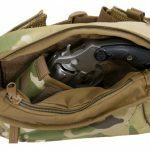 The Concealed Carry Waist Pack: Features an adjustable belt that fits up to a 45″ waist with a side release buckle concealed for security. It has a padded back with mesh vent fabric for comfort. Keys, wallet, and mobile phone can easily be tucked into the outside zipper pocket. 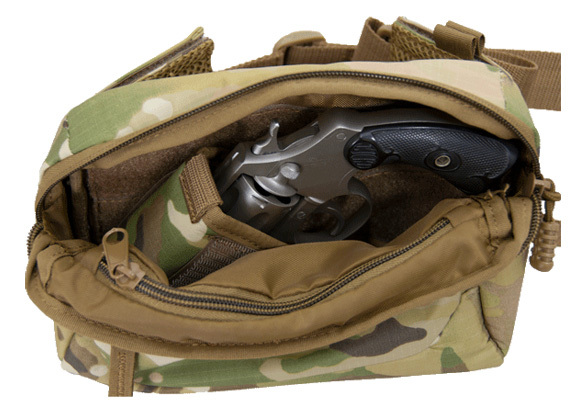 The main compartment also has a zipper pocket with key ring clip and includes a removable ambidextrous compact/sub-compact universal holster that can be positioned in any direction for easy draw. If you get caught in crossfire, there’s no need to worry. Flying Circle Bags stands by the quality of its workmanship and materials. 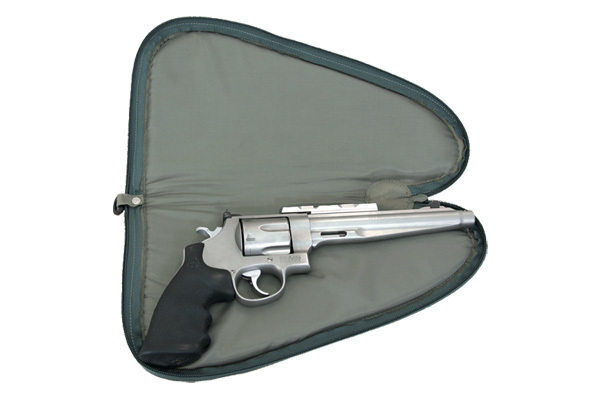 The full range of Flying Circle Firearm & Concealed Carry Cases are covered by a lifetime product guarantee.